Nobody wants to hear about rising energy costs. For utility customers in New York, prices have going up this winter. Some of it was an accounting error, but increased demand for Natural Gas due to the swerving polar vortex helped. Propane costs have gone up too, article from Kansas Cityreferences pricing as high as $5 a gallon. All of this reminds me of the days when crude oil prices were all over the proverbial road, never mind a little swerving polar vortex. It’s not just about heating and cold winters. California is experiencing a lack of winter which sounds kind of nice coming from the Northeast. They are also seeing a drought and I’d expect a long hot summer which means an expensive cooling season ahead. We can’t control fuel prices, but we can take control of our homes. There’s a great thing in being able to “weather the storm”. In our homes, that means comfort, but also peace of mind that we are protected from the elements. Integrating resilience, in our homes is as simple as insulating a home well and air sealing it properly. 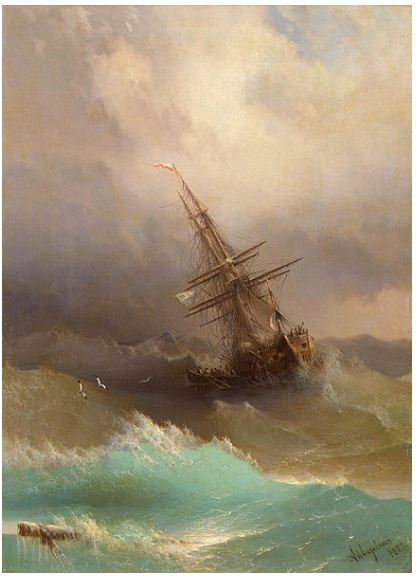 It is like preparing for a long voyage across the sea, and helps when weather or high fuel costs hit us broadside. Batten down the hatches! When in Rome….perform combustion safety testing! Heating season is approaching for some parts of the country and while this stove doesn’t heat the place, the College of Cardinals that gathered in the Sistine Chapel last winter, used a stove system that has evolved over many years, and needed some fine tuning to work right. Jon Vara, in The Journal of Light Construction wrote, that since at least 1903, ballots from the papal voting have been burned in this system of ductwork and combustion equipment to announce their decision on a new pope. Many things have been tried to ensure the color of the smoke is correct, but just as important if not more so, is the trouble of getting the smoke to go the right way. Even in the latest installation from 2005, the stove back-drafted. Our advisors might pay special attention to how equipment works in your home. They also pay special attention to how the home and heating equipment interact too. 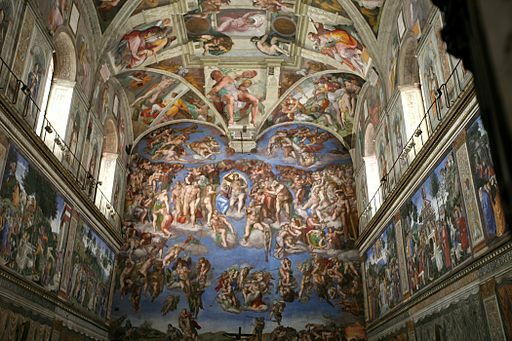 I’d say they would have to bring a few more (ok, many more) blower doors to test the tightness of such a big place like the Sistine Chapel, but combustion testing is the same big or small. Smoke needs to leave the house (or chapel) and other gasses should go with it. Carbon Monoxide is the silent killer we are most often concerned about. Holy Smokes, no matter what kind of stove furnace or boiler, or building for that matter, we should all be concerned with combustion safety whether you live in Rome, Georgia, or Rome, Pennsylvania or Rome, Ohio, or Rome, Maryland or Rome, New York, or Rome, Oregon… you get the idea. Paying attention to gas leaks! Gas Leaks can be many things, but generally are not welcome. If you smell the “rotten egg” odor (some can’t pick up the smell) of a gas leak or otherwise suspect one in your home, you should get out and call your provider ASAP. Sometimes they go unnoticed by homeowners, which is why in assessing homes, our advisors find up to ½ of them contain gas leaks, and we’ve been in a lot of homes. PG&E a California utility where we have a number of locations, such as Allbritten in Fresno, ABC in Hayward, Residential Energy Pro’s in San Jose, Young’s Air in Los Banos and Gundlach’s in Bakersfield, has invested in a number of cars with sensitive gas sampling equipment to test lines that run through local neighborhoods. They have amazing detection abilities, like our advisors! While we won’t be driving hybrid cars with fancy pipes stuck on the top trough your living room, rest assured that the sensitive equipment we bring inside works quite well and so do our advisers. It’s part of the health and safety testing we perform. If there’s one tiny leak or a bigger issue we’ll take care of it, it is all part of making sure your home is not only energy efficient but safe too. We need power. We heat and cool our homes, run our devices with it, and what we use is limited to what we produce or generate. 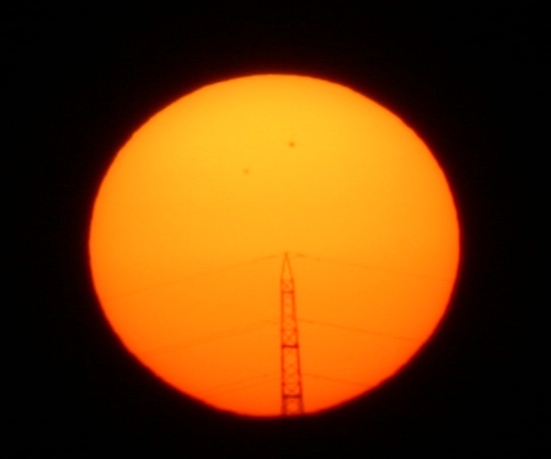 Energy use in the summer often puts a strain on the grid, and we are redlining at times. Some forms of power generation are less desirable than others, they come at a cost. Nuclear power for example is great stuff, until things go wrong, or we have to find a place for the waste. That’s when some folks cry “Not in My Back Yard”. Fracking, the process of injecting high pressure liquids deep in the ground to release natural gas, could produce 15 million barrels of oil a day by 2050 the U.S., mentioned in this article according to the American Council for an Energy-Efficient Economy. This certainly helps liberate us from foreign oil dependency, but it has also been criticized by the NIMBY crowd. My intentions are not to judge good or bad, or right or wrong here but I will weigh in on this from the same article: Investing in already available technologies to increase energy efficiency can save 23 million barrels of oil a day. This is the stuff we love. Better Insulation, more efficient appliances, more efficient homes! That sounds a lot like Home Performance. Yes in my back yard. Please! Energy Tax Credits for 2013: Available again! One good result from the end of the year fiscal cliff hanger is an extension of the residential energy tax credit. If you haven’t used it in the past, all the way back to 2006, there is a $500 tax credit for material costs of certain energy efficiency measures done to your home. The American Taxpayer Relief Act extended the tax credit through 2013, making it retroactive from January 1, 2012. This means last year counts as well. 10% of the cost of materials, such as insulation, exterior windows, and doors that meet Energy Star requirements, can be used. Credits for window expenses are limited, as are AC units and furnaces, so a combination of improvements will help maximize what you can get, just perfect for home performance work on your home. Check out http://www.irs.gov/ for more information. Or see the entire American Taxpayer Relief Act of 2012 here. Ask us we can help! 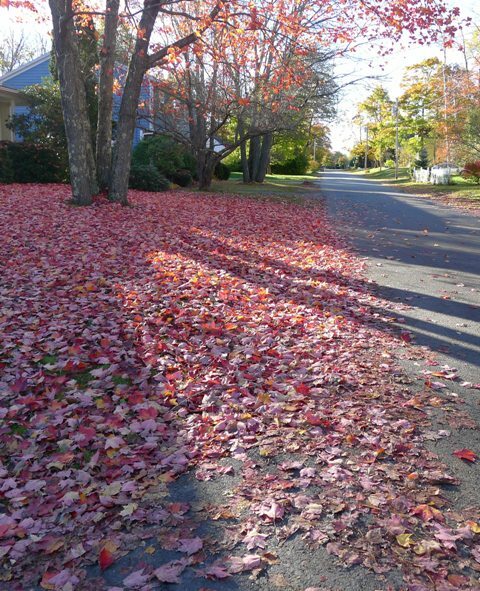 In New England it is easy to see the seasons change. It’s a time of harvest and preparation for our comfort through the coldest part of the year. There’s plenty to do outside the home never mind on the inside. For one thing it is time to tune up the furnace or boiler before the heating season begins. Preventative maintenance is a good thing and worth the minor expense to ward of a major one in the middle of the heating season. With a contractor you trust, that clean and tune may be part of a service agreement and can save you even more. Your heating system is not the only thing that should get a tune up though. For many of us, it’s the home too! Even with the cleanest running furnace or boiler in your home, it is important to consider how well the building is insulated, resists air leakage, deals with moisture and provides indoor air quality. Since heating systems and buildings interact with each other, it’s a great idea to consider treating them together. Seek out certified and experienced heating and cooling technicians, and the same for your home. Consider a BPI accredited contractor that will look at your home as a system and help you prepare for the coming season making it healthier, safer and more energy efficient. A few weeks back I touched on some of the hidden costs in our home (http://blog.greenhomesamerica.com/2012/04/12/fixes-for-hidden-costs-reveal-hidden-benefits/). 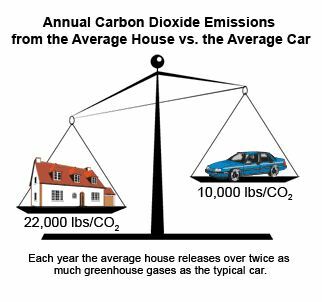 There is a tie between our houses and our cars and energy use. The benefits of home performance improvements are clear and widespread. You can be more comfortable, safer, and healthier and save money. Money you can put elsewhere, such as towards the expense of driving with an electric vehicle. What I think is important here is that this isn’t just for Florida. Florida is of course a great place for solar power being the “Sunshine State”, but this isn’t really part of the formula for most homeowners. Generating electricity can be done in many ways, and energy efficient homes are the key to being able to drive for free. Fixes for Hidden Costs Reveal Hidden Benefits! The offender in many folks’ minds when it comes to pollution is the automobile, not our homes. It seems to be ingrained in our heads that automobiles are the worst offenders; I won’t discourage alternatives. But, in fact, we generate twice as much carbon dioxide emissions as we consume coal, oil, and natural gas—directly or indirectly—in our homes. 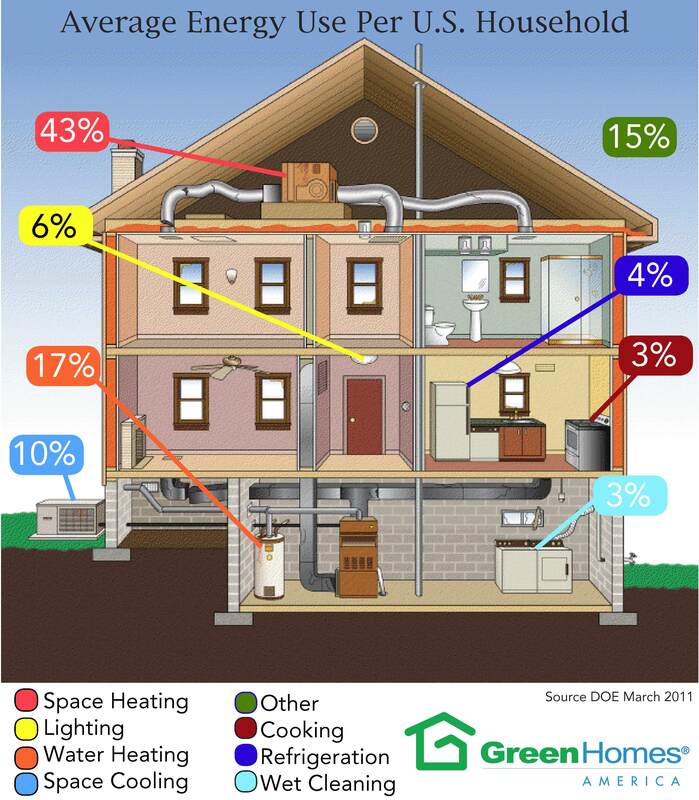 Imagine what happens if we cut the energy use in our homes by half? The scale might balance out for sure, but there are definitely more benefits, saving money for one. We do this on a daily basis. Improving their home’s insulation and air tightness, heating and cooling systems, and more, will typically save our customers at least 25%, but often much more. It all starts with a comprehensive home assessment which helps drive pollution and energy cost reduction in the home. But the biggest impact we hear about from our customers is how comfortable that drive can be! The end result we sometimes forget about is the level of comfort revealed after the job is done. If you read no further, know this: unvented fireplaces are a bad idea. We’ve had a few responses regarding Carbon Monoxide lately, and for good reasons: it’s a concern we should pay close attention to. 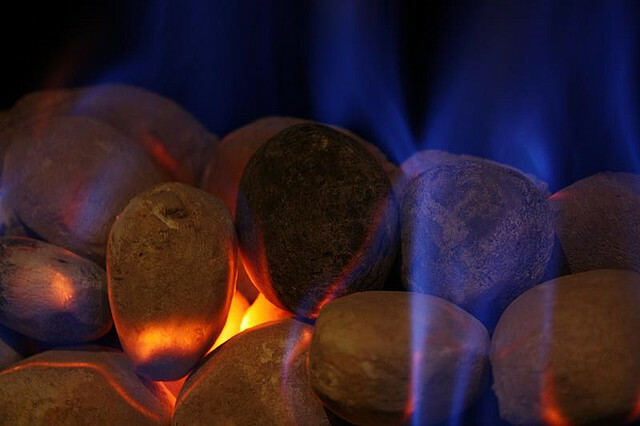 As we button up our homes and keep warm for the holidays, some of us look to inexpensive solutions and quick fixes such as unvented gas fireplaces. My personal experience so far suggests burning a fire inside just doesn’t seem like a good idea (don’t ask, just trust me on this one). Up north in igloos, the Inuit used small oil lamps called Kudliks and vented them with smoke holes in those igloos. Further south in a region many of us call home now, the Lakota used Tipis, and also showing great intelligence, had a smoke hole at the top. Overseas, centuries ago, Romans built tubes in walls to draw smoke out of bakeries and what we now know of as a chimney may have started in northern Europe in the 12th century. So what happened? Are we smarter now than all of our ancestors or have we failed to learn something, and as they say History is repeating itself? Some manufacturers of vent-free appliances claim they burn so cleanly that they don’t need to be vented. I have a hard time believing this since there will always be combustion by-products namely Carbon Monoxide and water. I’ll discuss the CO side in a minute—CO kills. But water is an issue for every one of these units, burning correctly or incorrectly. Vent-free appliances can produce about a gallon of water in the house for every 100,000 BTU’s. Leave one on for 4 hours, and you’re well beyond the moisture you’ll put in the air from a couple of showers and cooking a pot of spaghetti. That’s why you’ll often see condensation on your windows or sense a clammy feeling in the air. This humidity, if left unchecked can lead to other issues such as mold or rot. Sure you can address the moisture by providing whole-house ventilation something we regularly recommend, but you will be paying a penalty over ventilating your home because you didn’t want to ventilate your fireplace. You shouldn’t use your house as a chimney—that’s what flues are for! Water is a serious problem—but it’s not the worst of it. Without regular service the stove produces more CO, and my science books suggest incomplete combustion creates more by-products. The EPA suggests never heating your home with a gas oven. Short term exposure might be ok but long term exposure is not, like when you are heating your home all day long. For those without kitchen range hoods, or those who fail to turn them on, a stove is essentially an unvented gas heater, so why do we use unvented fireplaces? Apparently there are safety features. Some manufacturers’ fine print indicates you should open a window every time you use the appliance! Who does that? And if you’re supposed to open a window, it can’t be an unvented appliance. I’m guessing the lawyers have paid attention to the potential liability from combustion gases and perhaps related moisture problems. Other fine print from a vent free manufacturers retail site suggests that the Oxygen Depletion Safety Pilot device shuts off the gas before dangerous levels of CO can be formed, but says nothing about using a CO detector as a back-up. It also does not address long term low level exposure. Since you can’t see or smell carbon monoxide, but high levels can kill you in minutes, it makes sense to have a CO detector. In accordance with UL 2034, the CO sensor will not alarm to levels of CO below 30 ppm and will alarm in the following time range when exposed to the corresponding levels of CO. 70 ppm CO concentration 60 – 240 minutes 150 ppm CO concentration 10 – 50 minutes 400 ppm CO concentration 4 – 15 minutes. It won’t sound below 30ppm. This link has a long list of letters from folks that have been harmed from high and low levels of exposure. Some when finding CO levels in their home, complained to the fireplace manufacturers who suggested the meters they had bought were too sensitive! The last thing I want is a device that does its job too well. It is wrong that our national code allows unvented gas fireplaces when we know they can be harmful. They should never be installed. The consumer advocacy group, Consumer Reports justifiably suggests caution with these appliances and they also say that there is “No national standard that compels contractors to consider air quality when they install an unvented fireplace; the National Fuel Gas Code and many local codes call only for the fireplace to be sized so that sufficient air is available for combustion.” But this is not entirely true, as accredited contractors with the Building Performance Institute we can’t perform improvements on a home until an existing unvented heater is removed. Why? It’s not considered safe and the risks aren’t worth it. Unvented gas fireplaces are a potentially deadly example of penny wise and pound foolish. Let’s pay respect to those who figured this out a long time ago and keep ourselves and our families safe through the heating season. If you have one, get rid of it. If you’re thinking of adding an unvented appliance, please don’t. 1. Weaver LK. Carbon Monoxide Poisoning. 2009. New England Journal of Medicine 360: 1217-1225.Centers for Disease Control and Prevention. Nonfatal, Unintentional, Non-Fire-Related Carbon Monoxide Exposures—United States, 2004-2006. 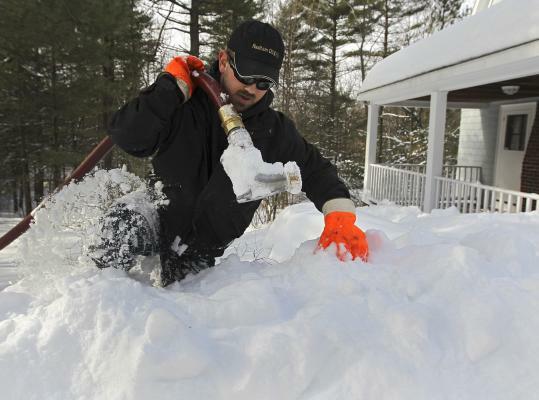 Maine Governor Paul LePage has recently called for a 50% reduction in the use of oil for heating in the state. Maine is a heavy user when it comes to heating oil. 80% of our homes here are oil heated. To cut that useage in half by 2014 is an ambitious goal, for sure. LePage suggests doing this by switching to natural gas and wood pellets. There are efforts to move towards natural gas in the state, and I encourage it. It won’t be fast, however. While the distribution system is slowly growing, it is not there now. As for pellets, they are readily available, but if demand for them increases so might cost. Furthermore, most residential wood burning systems require the user to be hands on. The pellets don’t fill the stove themselves, and the ashes don’t empty themselves. This is the same reason why 80% heat with oil instead of wood, also abundant in the Pine Tree state. What is missing in this discussion is our dependence on BTU’s. In other words, the focus should be on energy use, first, not fuel source. Switching fuels doesn’t solve the problem of inefficient leaky homes heating the great outdoors. It’s like an addict going from one fix to another because it’s cheaper, and they can get more for less. Fuel switching is treating the symptom and not the problem. Weatherization efforts, increased efficiencies of heating equipment, and fuel switching when it makes sense, can have a much greater impact, and a much lower long term cost, than fuel switching alone. Efficiency Maine and the many contractors who have worked with these programs have been chipping away at this. Tux Turkel from the Maine Sunday telegram reported recently, “Maine residents slashed their heating oil use by 45% between 2004 and 2009.” We routinely save people that much off of their oil bills. Governor, we can do this, but let’s treat the real problem and break our dependence on wasteful heating.